During AdWord’s annual Google Performance Summit Keynote, they introduced a range of exciting and interesting stuff! Something that was most interesting was the expanded text ads. Experts think that this is one of the most noteworthy updates brought about by AdWords since the invention of Quality Score. 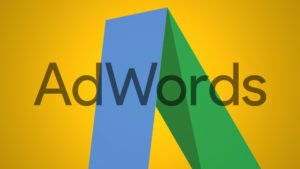 AdWords is presently testing ads which have 30 character headlines and 80 character description lines. To a person who is unfamiliar to PPC, these 45 characters don’t mean a lot but to the people within the industry, they are everything. The news says that with more characters, there comes better messaging and there are increased chances of highlighting your business. What do these changes mean to your PPC campaign? Check out. You got to rethink your creativity: With the new rules, you’ve got yet another headline to play with and this definitely doesn’t mean that you’ll be simply adding a headline to the ads which you’ve already created. You should use this specific update as an opportunity to rethink and reprove your creativity. Create something new and that which is more compelling than before. Concentrate on the headlines: The headlines are the main clickable space which you have on your ads. Now you have more headline characters which weren’t available before. How much enticing your ad text will be, will depend on what you put into that space. The big blue headlines will always be more prominent than the description text. The quality and content of your headlines will matter and this will ensure how well your ads will perform in the market. Adjust the settings of ad rotation: The extent of your competitiveness in the auction will be decided by the advertisement which you’re showing. During the beta, serving of expanded text ads would be capped but following the beta, expanded text ads would serve based totally on your ad rotation settings. If you still have those standard text ads in your account, don’t let them drag down your performance. Instead, try optimizing your clicks or optimize them for conversion settings. Continue using ad extensions: Yes, indeed your ads may have enough room but that won’t mean that extensions are much less important. You can implement any ad extensions which make sense for your business. Make sure you try at least 4 so that your system has enough choices. So, the above mentioned points are actually the ways in which you can make the best use of the extra headline update of AdWords.